I thank you. Two small words, but coming from infinite gratitude, and a sincere appreciation for your generosity of spirit. 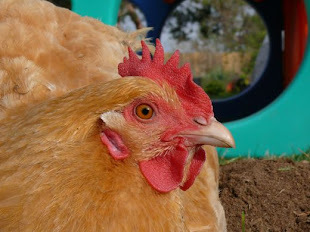 Thank you for your words, your comments on FB, and Chickenblog. Thank you for reading these posts, for following the technical and emotional ride we take when it is Robotics Season. Thank you for sending money to the team; your contributions go to scholarships so that even more students can enjoy the honor they have earned, and go the Championships in St. Louis! Thank you for your creative participation, for your good intentions, for being inspired. I love hearing from you. I love sharing this Passion FIRST I have for learning, for art, science, technology, math, and gracious professionalism. Thank you, Delia. She made earrings for the team, and we look extra classy cheering prettily in our colors. Isn't my mom sweet? 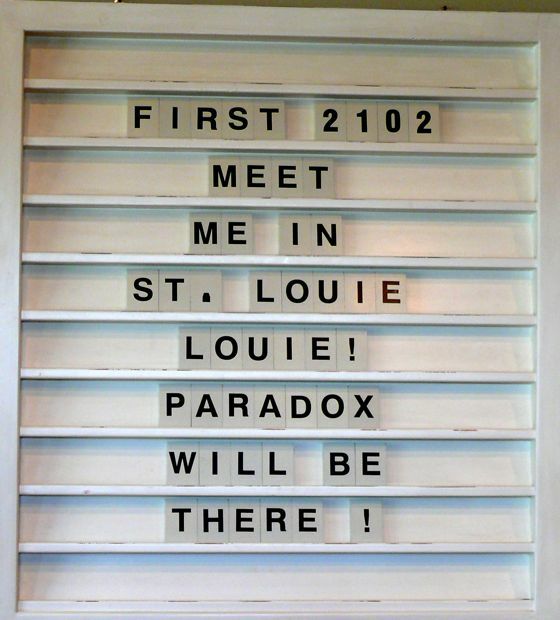 She and Ron are longtime supporters, big fans, of FIRST 2102 Team Paradox! Thank you, Michaela. She is a fan. Seriously. I am totally blown away by Michaela's heartfelt tribute to FIRST, and FIRST 2102 Team Paradox. And it makes me really thrilled for our club, for the students, that such a bright, intelligent young woman, a FIRST member herself, can so graciously demonstrate the lasting inspiration and virtues of FIRST. Thank you, Janece, Paul, and Amira... no ordinary Moments! In fact what they have given to FIRST 2102 Team Paradox is extraordinary. Thank you! So very much, thank you. Amy and Steve, and all the Smiths... thank you! This family is an awesome, activist family! They take action, putting their hearts, minds, and muscles into demonstrating their love for the world, and they have generously shared this love with FIRST 2102 Team Paradox. Thank you Dewataboy. It was quite a while before I figured out that this long time Chickenblog visitor was Maria C.L., a friend of a friend-kind of friend that makes me feel blessed indeed. She has donated to FIRST 2102 Team Paradox in kindness and deeds. I am so grateful to have her support in my life, and for this team. Alison and Bill: So Paradox. FIRST 2102 Team Paradox really did try to get to the FRC event in your corner of the state, and we would have filled up on burritos on the way home too! Thank you for contributing to the team. There are a lot of mouths to feed, and we appreciate all the help we can get! Thanks, again, Paul, Michal, Michael, Guido, and Annette, Holly and Ruth, for coming to FRC San Diego, and seeing for yourselves what an amazing event FIRST hosts. Your spirits made it an even brighter occasion! I would like to invite everyone to visit the New and Improved, Team approved, website for FIRST 2102 Team Paradox: Team 2102 Robotics Club! Welcome To Paradox Robotics. A whole bunch: Thank you. Oh, what a gorgeous new website! Beautiful design (was that by the students, too? it's really impressive). Instant bookmark (and hurray for the link to the webcast for St. Louis)! It's so great to hear about all the support for your team, and I can't wait to hear more as the Championships approach. So! Excited! Michaela... Kevin Brice is an alumni and mentor. Last year he was president of the build team, this year, when he isn't running light shows and going to school, he has been building this shiny new website. He has contributions from students, alumni, and mentors. It's looking real good! I LOVE YOUR EXCITEMENT! Amy... wicked-good! She is a wonderful woman. I love the world wide interwebs... and all the great friends I have met.